I had heard a lot about the hypocrisy of the western media, especially against the developing third-world countries, but never experienced it first hand. However, a couple of incidents in the recent past firmed my belief in this theory doing the rounds. On September 24, 2014, India celebrated a significant day in their space program when its first ever interplanetary mission, Mars Orbiter Mission (MOM), also called as Mangalyaan was successfully deployed in the Martian orbit, making India only the 4th country in the world to have a successful mission to Mars in its name. One can get to know its significance by reading some of the amazing facts about this mission. Now, this is a big achievement for a developing nation and we expect the developed countries, or any other country for that matter, to appreciate it. 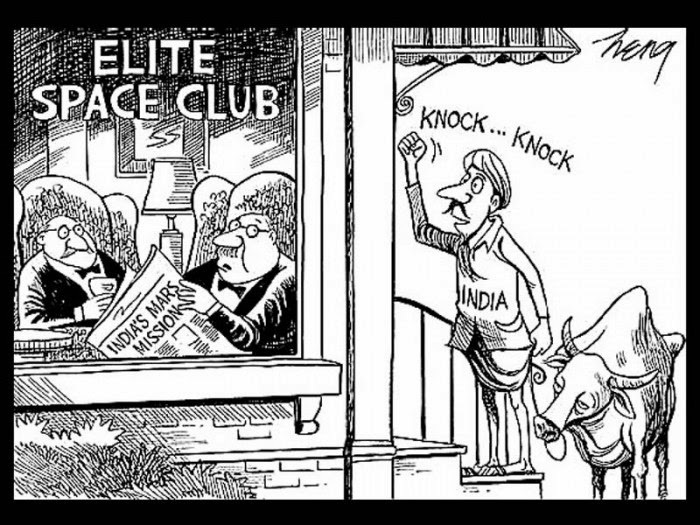 Instead, The New York Times published a cartoon (Image 1) mocking India’s achievement. A few weeks later, an unmanned US rocket Antares exploded during its launch. Yes, I certainly believe that it's not a very appropriate moment to mock. But sometimes you need to give some people a taste their own medicine so that they don't repeat the same mistakes again. 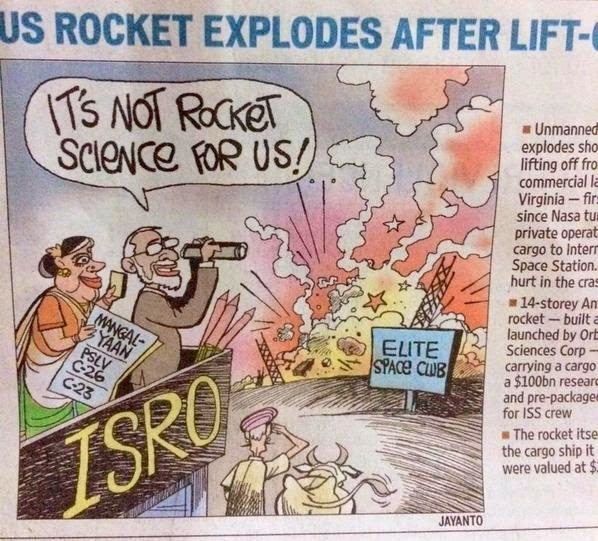 So, I felt that the befitting reply (Image 2) from Hindustan Times was very apt on this occasion. How often do you get to read stories about marathons in India? That too from the famous western publishers like WSJ and NYT? Marathon running community in India is still in a nascent stage compared to the developed western countries. Bengaluru, a city which is seeing a surge of runners recently, hosted its first city marathon on October 19th, 2014. The marathon was a huge success, barring a few glitches which are expected from the first-time organizers. The marathon saw a lot of positives, including a whole bunch of prizes for the winners in each category, a number of promo runs in the various parts of the city which included free breakfast and t-shirts, well stocked water and aid stations delicious breakfast served on the marathon day, and a lot more. Now, marathons have been organized in other Indian cities for quite a few years. But I don't remember seeing any mention or a word of encouragement from any of the western media. However, one small error in the first-time organized Bengaluru Marathon caught the attention of the western media and they went gaga over it and I'm not sure why. They were not present at the event to cover it. The event wasn't an international event and was meant only for the Indian participants, being organized for the first time. Was it just another case of western media trying to demean the developing countries or is WSJ just a tabloid not to be taken seriously? If they really wanted to cover the event, they should have also reported how the runners ran their best despite such challenging conditions and many other positives that the event had. I was not surprised when the same media failed to report the decision of the Bengaluru Marathon organizers to compensate the runners who suffered from the error. They also failed to report when the same mistake was made in another marathon conducted just in their neighborhood. So, dear western media, yes, we are an emerging country and will take some time to reach your level. A little bit of support and encouragement would be more useful than this kind of bullying.